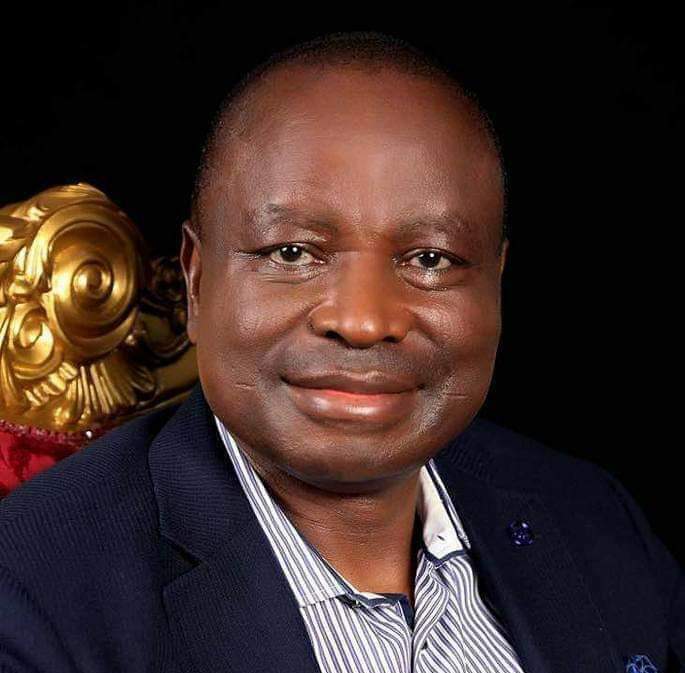 Senator Ayogu Eze is the Enugu State All Progressives Congress (APC) governorship candidate. The two-time senator and one time commissioner said that he has joined the race to bring respite to aggrieved councils in the state. Don’t you think it is going to be a very difficult task to battle an incumbent governor? The incumbent governor didn’t create the structure on ground and he was not the one who created the humans who are in the structure. These are people who have brain and diverse views including those working with the government, and when you present them with alternatives, they will make up their minds on who to choose. It is all about the interest of the people and which one will favour our people the more. I am sure that our people in Enugu are patriotic enough to know that bogey about incumbency does not hold any water. It is not only about incumbency but also about what you can do for the people. What can you give these people that they don’t have under his administration? We are going to grow a second to none agricultural scheme; there will be standard farm with grower schemes, farm incentives that will make them employers of labour. We have plans to employ 100,000 graduates every year through attracting big scale farmers from across the world. We are going to divide Enugu into produce zones where people will produce crops with comparative advantage. We plan to make tourism one of the biggest revenue ports because the topography of Enugu and tourism assets support that. Enugu is one of the states that if it is properly programmed and turned holistically, people will be coming to Enugu all the year round. We have also mapped out festivals that will run on our calendar so that people will know when to be in Enugu and to make this feasible and attractive. We are going to make a robust security programme. My dream is that one year after I resume office you can really order an item and it will be dropped at your doorstep. So, our people will not see these programmes and go for incumbency. I want to be held accountable for my promises. I have the contact for all these and I know that they are deliverables. But we hear that most of the ex-governors are not backing you because you didn’t recognise them as godfathers? Nobody wants to be my godfather, I don’t have a godfather but they are supporting me. They don’t want to be my godfather because of what they say about me that I have strong views and I am my own man but they are supporting me. Even though they know that I am not somebody you can put in the pocket, likewise I don’t manipulate and swing around. People know that my word is my bond and yet they are sticking with me. Jim Nwobodo, Sulivan Chime, Ken Nnamani, Baywood Ibe and co are all with me. Is it true that Jim Nwobodo is PDP spy in APC? Jim is one of the most rugged and indefectible leaders of APC, most of the meetings that resulted into the resolution of some of the problems were held in his house. Most of the negotiations that strengthened APC was held in his house. Most of the former PDP stalwarts that have come to the party came through him. How can he be a spy when the fortunes of the party are growing under him? He has been working tirelessly to make sure that the party grows, I don’t believe he is a spy. He is too big to be a spy. He is the former governor of old Anambra State, he was a minister and so on, and he has been everything. So, what is he spying for? If he does not want to be in the party, he would have said he does not want to be. He is not compelled to be in APC. He is in APC out of his own volition. For anybody to try to de-market him by saying that Jim is a spy is outlandish. There are rumours that you are wooing some of the aggrieved PDP aspirants. How far have you gone? I am not in touch with anybody yet and I have not discussed with any aggrieved aspirant but if there is any aggrieved aspirant that believes that he or she wants to join what we are doing in APC, of course, they are welcome and it is a national party and then my mission in APC is to take our people and connect them to the centre. We don’t have our due. We are not getting grade A boards, parastatals and ministries because they feel that the last time we didn’t vote for the government in power but this time we want to take our people right into the bedroom of that power and make sure that we get our due. The Enugu people believe that based on pedigree that if I go there I would take them into the room of decision. This election is going to be won on ideas and we have it.